Image: An Atlantic frontal system approaching the British Isles in a surface pressure analysis image released by the Met Office on January 18, 2008. Residents in flood-prone areas were on high alert on today as more rain swept in and forecasters predicted downpours for the weekend. As a new Atlantic front hits Britain just days after more than 70 flood warnings were issued, the Met Office predicted as much as 100 mm of rain could fall in exposed upland areas of Wales, south west England and the Lake District. 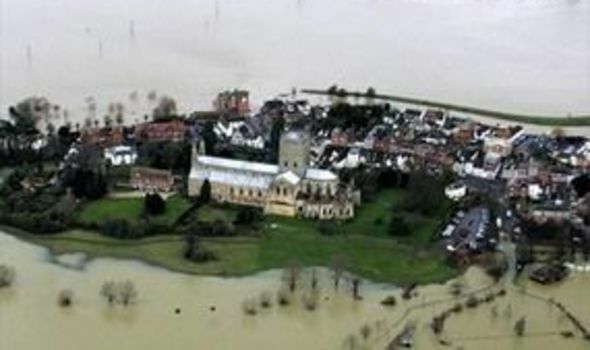 Fears have been raised that many areas would be subjected to flooding for the second time in less than a year. "The weather over the next three days is certainly cause for concern. Our main focus is Friday and Saturday but heavy rain could continue into Sunday and it is a cumulative effect that is causing the current problems." Many rivers were close to bursting their banks.